The main advantage of Uponor Minitec is its low installation height. You can easily fit different floor coverings on to it – depending on the customer’s individual requirements. Therefore, Uponor Minitec brings excellent living comfort even to renovated houses. 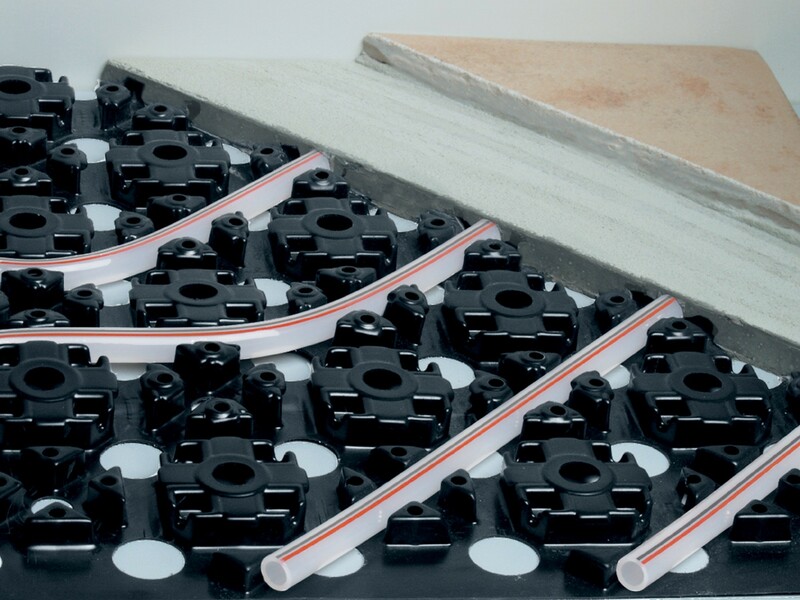 The sturdy Uponor Minitec panel can be walked on instantly and efficient installation of the Uponor PE-Xa pipes can be carried out by a single technician. They are suitable for all room geometries and do not need to be installed right to the edge of the floor. The system includes all the components required for fitting in doorways and to adjoining walls. What’s more, the Uponor Minitec panel for laying the PE-Xa pipes 9.9 x 1.1 mm can be installed on any existing screed, timber or tiled floor. Thanks to its low panel height of 12mm, Uponor Minitec is particularly suitable for integration into existing buildings during renovations. The panels are equipped with punched holes in between the castellations, which ensures, that the levelling compound can spread easily and bonds firmly with the substructure.